The pool looks like a water feature that goes under the decking... and it does. If you think you do not have room for that new alfresco or outdoor entertaining area you always wanted, think again. 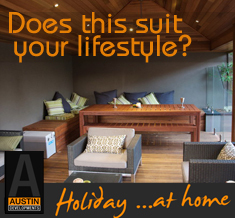 Chances are Austin Developments have seen it all before and we love a great challenge. On this particular project the client desired additional outdoor entertaining space. 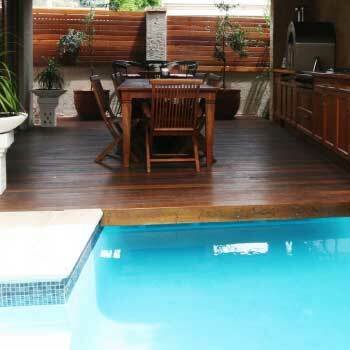 The challenge was the long lap pool directly out from the rear doors – right where the alfresco was to go. This problem had us scratching our heads for a while but once again we came up with a solution with which the client was thrilled. To solve this problem we suspended a timber decking over the lap pool to create the additional floor area and then built up the boundary wall to support the new alfresco roof which looks like it has always been there. Now the client’s children have grown up and don’t need such a large lap pool. 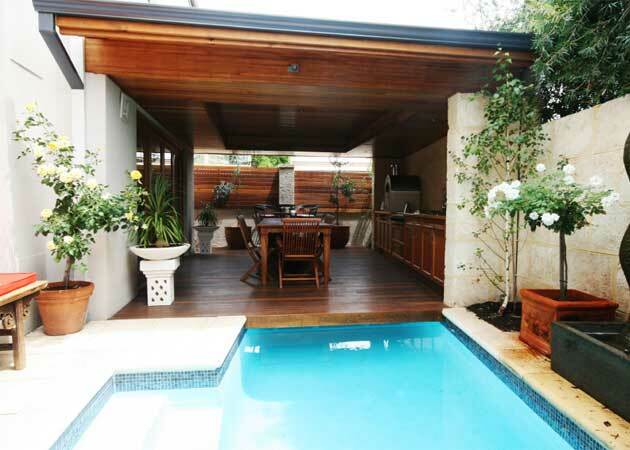 The new outdoor alfresco area has a relaxed comfortable sized entertaining space and a large water feature / plunge pool appears to flow underneath you when you are standing on the deck…and it does.